Today has been an unusual day for the GMBDW as we were featured in multiple media reports from the United Kingdom and Austria. Our post from last week on the reported move of the International Muslim Brotherhood headquarters from London to Graz, Austria was apparently used as the source for a Mail on Sunday report on the subject. Unfortunately, the Mail incorrectly reported that the Brotherhood “recently opened a new international office above a disused kebab shop in Cricklewood” whereas the GMBDW noted in January that these offices had been in existence since at least 1993. However, the Mail story was picked up by numerous Austrian media outlets including the German language der Standard which also incorrectly reported that Ayman Aly is ”the President of an important Muslim youth organization in Europe” whereas in fact he has been Vice-President and Secretary/General of the Federation of Islamic Organizations in Europe (FIOE), the umbrella group for the Muslim Brotherhood in Europe. Der Standard also called into question the Egyptian media source which was the original source for our post saying that they had incorrectly reported stories in the past. 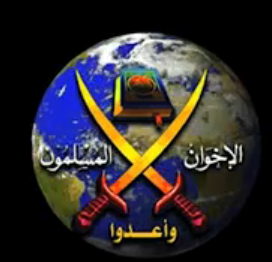 The GMBDW agrees that the source is somewhat questionable but as noted in our post, Graz has had had a long history as the location for important Muslim Brotherhood leaders so we felt that there was plausibility to the Egyptian report. In any event, we remind readers that as it says on the masthead, the GMBDW is an Intelligence Digest and while we attempt only to report credible information,we choose what to report based on a number of factors of which credibility is only one. Sometimes we will lower the credibility test a bit if we feel the story has particular importance but we always encourage readers to check and verify on their own before depending on the information. In addition to the Austrian story, The Telegraph in the UK cited the GMBDW as the source for their story on the Tony Blair Faith Foundation and the links of two of its advisors to the Global Muslim Brotherhood. In 2009, we reported that the foundation advisers included Dr. Ismail Khudr Al-Shatti, also an advisor to the Prime Minister of Kuwait and known to have been a leader in the Islamic Constitutional Movement (ICM) which is the political arm of the Muslim Brotherhood in Kuwait. Our story also noted that Mustafa Ceric, at that time the Grand Mufti of Bosnia, was also an adviser to the Foundation. Mustafa Ceric is a long time associate of Global Muslim Brotherhood leader Youssef Qaradawi.